There are basically three major types of Minnesota health insurance policies to choose from: consumer-directed, fee for service, and managed care. 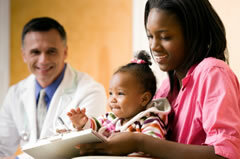 These health insurance plans help cover your medical, surgical, and hospital expenses. They may even cover dental expenses, mental health services, and prescription drugs, depending on the coverage you choose. To learn more about Minnesota health insurance, call and talk with one of our agents today. We’ll guide you toward a more secure future.